At New & Lingwood we offer a variety of luxury dressing gown styles in a broad range of refined fabrics to cater for all styles of relaxing, for both dressing up and down. Our luxurious silk gowns, both lined and unlined, demonstrate a degree of style and opulence worthy of the most demanding of aficionados. 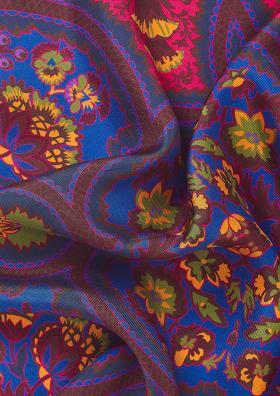 For these pieces, our decorative and signature silk jacquards are expertly woven in Suffolk before our skilled tailors complete the precision stitching of the final piece. The result of all the intricate processes, paying attention to the most minute of details, results in a piece that is both art and heirloom. 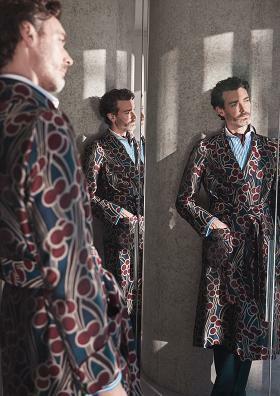 The dressing gown has been a staple of the discerning gentleman’s wardrobe since the late 17th century and takes its inspiration from opulent, silk Oriental robes. Whilst remaining true to original craftsmanship, we believe the gown, in all of its forms, deserves a place in the gentleman’s wardrobe and as such strive to produce only the best for all occasions.